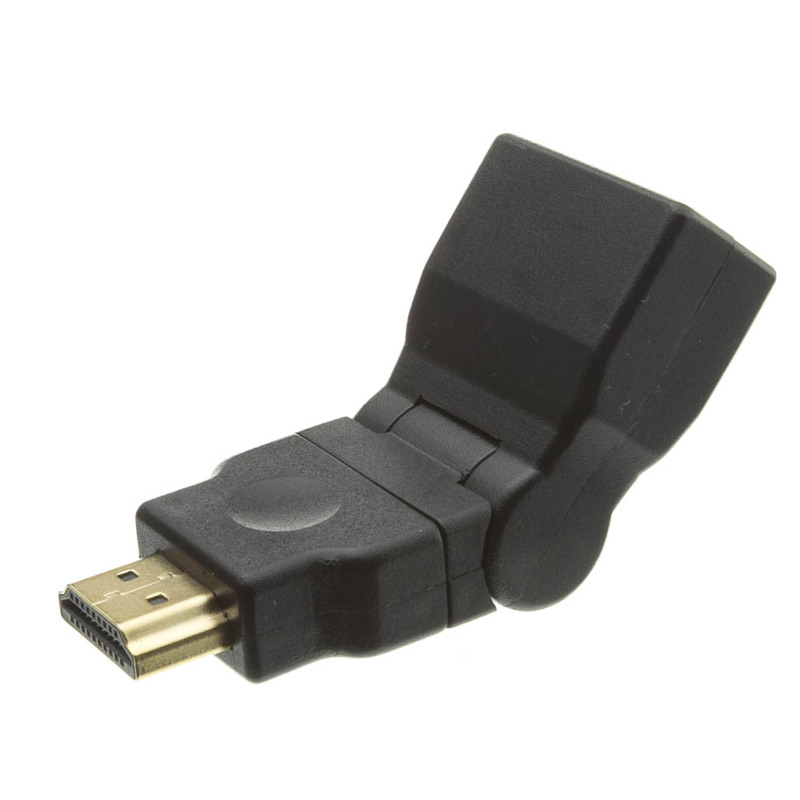 This unique adapter tilts right or left 180 degrees and swivels/roates 360 degrees to allow you the greatest flexibility when connecting and HDMI device. We have two flat panel TVs. On one, the HDMI connectors are mounted horizonally in an indented panel on the back. With the cable installed directly on the TV connector, the 90-degree cable bend caused the cable head to separate from the cable body. With these adapters, it was very easy to use the swivel in the adapter so there is no bend/stress between the cable head and the cable. On our second TV, the HDMI connectors are again in a recessed panel on the back. This time, the already face directly down and I was hoping to use these adapters to make the connections easier to find. 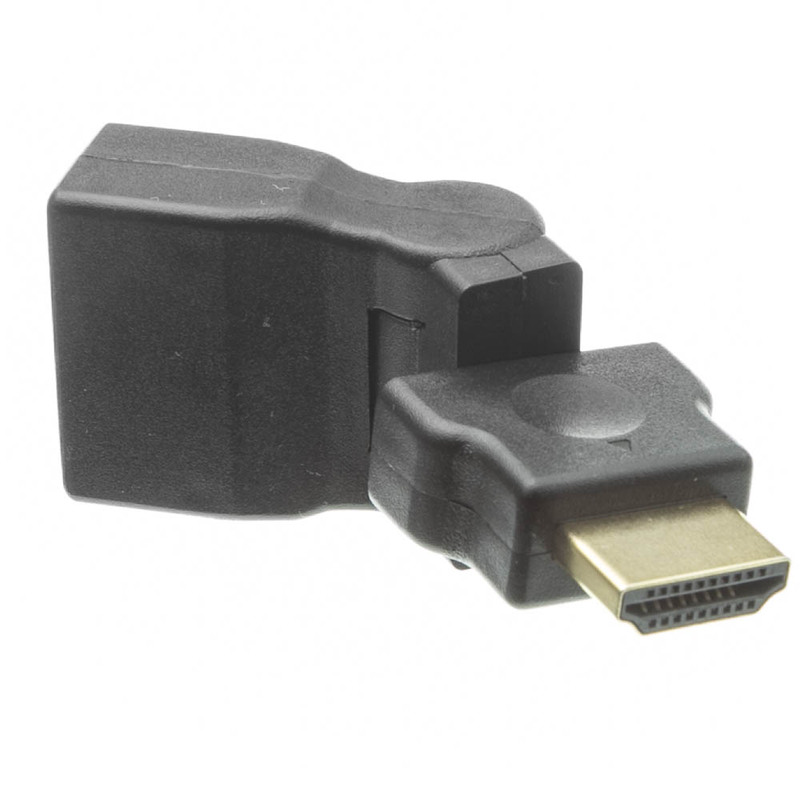 Unfortunately, these swivel adapters are wider than a normal HDMI cablehead. When I install these on the 2nd TV, have to skip HDMI ports. 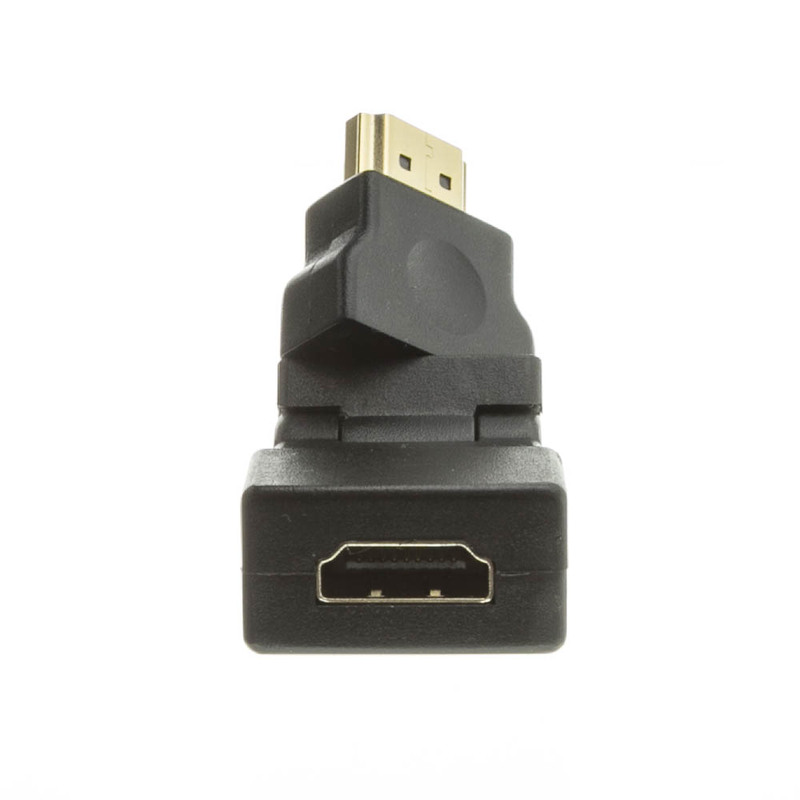 Because of the extra width of the adapter, I cannot install adapters on any 2 adjacent HDMI ports. Even so, I have enough HDMI ports to meet my needs. With that caveat, I recommend the product. As simple as it is, it does exactly what it is intended to do. In fact, it is more flexible than expected and is more of a help than expected, also. Needed the length to reach around the TV, then could use either 90 degree adapter. Works for exactly what I need it for. 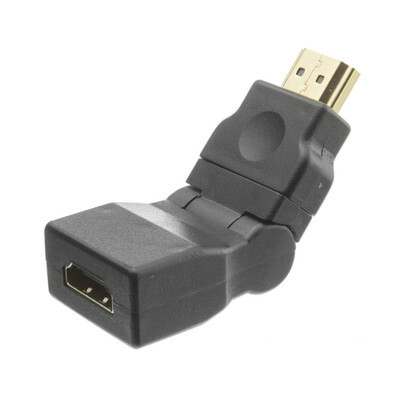 Bought this for another application, but used this more expensive versatility to sub for the 90 degree adapter purchased to connect an HDMI cable to my name brand HDTV. tried one adapter and it worked fine. very nicely constructed although I wouldn't try to put it under much strain, but then I don't intend to and never subject my equipment to undue stresses. Love the swivel adapter; makes organizing cables much easier. Great product for the price, saved money buying here again.